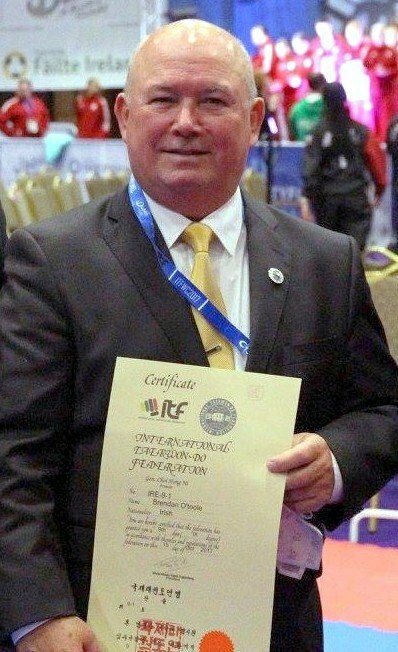 At the opening ceremony of the ITF World Championships, Master Brendan O'Toole, president of the Irish National Taekwon-Do Association, was awarded the rank of ninth degree by the ITF. The Grand Master rank recognises a lifetime of dedication to the art, to the association, and to its members. The members of the INTA are very proud to be represented by this great martial artist, and we are delighted to see this recognition of his constant courtesy, integrity, self-control, perseverance and indomitable spirit .